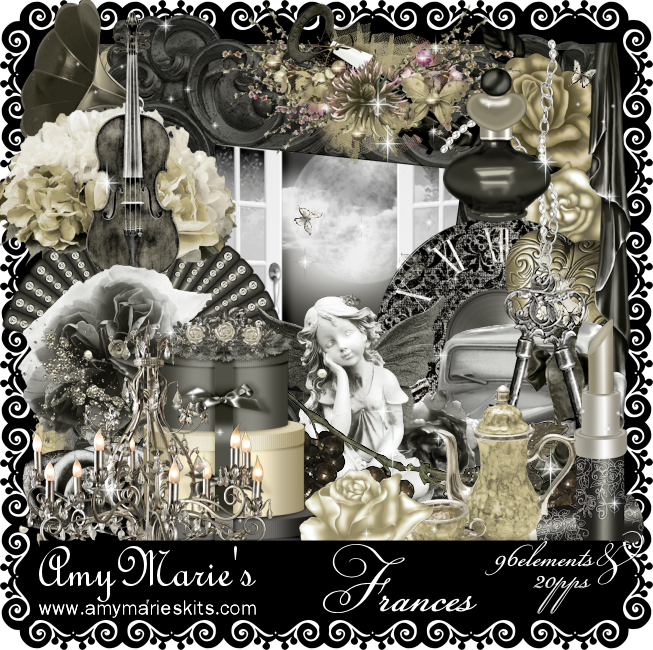 Frances is a new kit from Amy Marie. 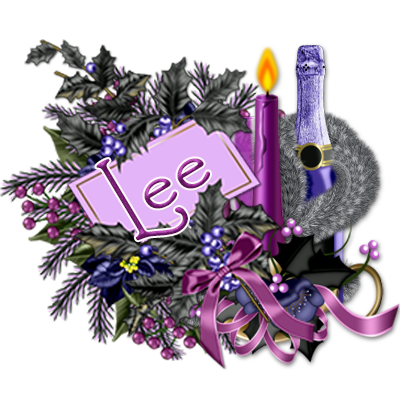 It is a perfect match & is an elegant & beautiful kit. 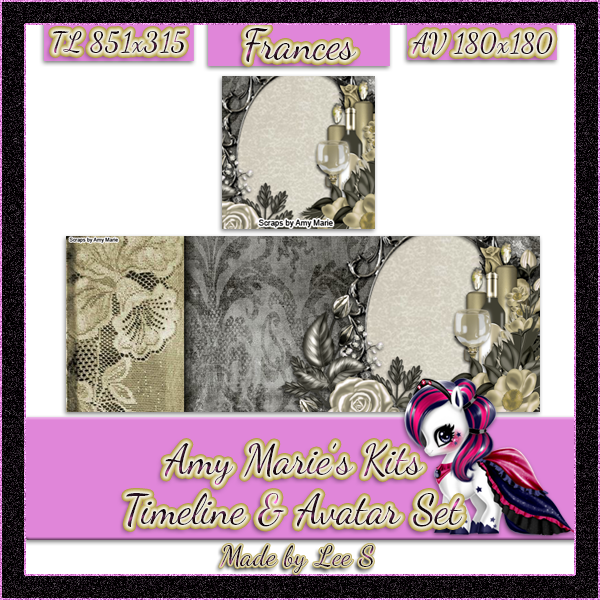 Created in gold, silver & white it is a multi use kit. Think New Years or a 60's theme. The kit contains 20 papers & 96 elements. You can purchase the poser here. All Kits, Clusters & PSP Scripts on sale for 90 cents! And check out the matching Timeline sets. Check them out now! !